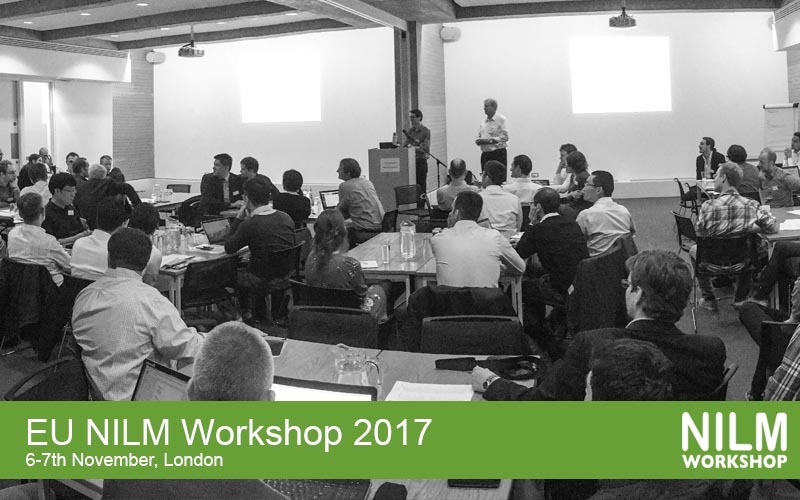 We’re pleased to announce that the fourth European Workshop on Non-intrusive Load Monitoring will be held on the 6-7th November 2017 in London, UK. The aim of the European NILM conference series is to bring together all of the European researchers that are working on the topic of energy disaggregation in both industry and academia. See http://www.nilm.eu/nilm-workshop-2017 for full details and to register your place. We invite attendees to submit presentation abstracts via this Google Form by 20 September 2017. We will aim to build a balanced agenda from a combination of invited talks and submitted abstracts, while the remaining submissions will be invited to present a lightning talk and a poster. Since the workshop will not feature published proceedings, we encourage relevant submissions which have previously appeared at other venues. We also welcome submissions from companies with results or data which they are willing to share with the community. We have a number of sponsorship options for the workshop, including opportunities to give a full presentation, present a demo, and exposure on the website and slides. We need sponsorship in order to provide lunch, refreshments and an evening reception, so please contact us if you’re interested!